The long Veteran’s Day holiday is just ahead, providing you with a great excuse to head south for some fun. You can drive a little bit and relax a lot as you consider Baja Norte or Rocky Point. Your Mexico insurance from MexicanInsuranceStore.com is important for any destination, providing protection against liabilities while also covering important needs if you should have an accident. You can get your Mexican insurance at Mexican Insurance Store.com now so that you will be ready to leave early on Friday afternoon. The U.S. holiday isn’t matched by a Mexican equivalent at this time of the year, important because you won’t face heavy competition for accommodations in some areas. Closer to the border, activity may be more pronounced. However, you can drive just an hour or two to reach beautiful spots that are perfect for enjoyment and relaxation. Some favorites are Ensenada, Rocky Point and San Felipe. If you can get an early start on Friday, you might even want to head further south to San Quintín or El Rosario. 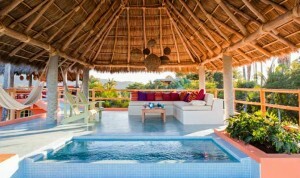 Your Mexico insurance from MexicanInsuranceStore.com is perfect for your short trip. Just make sure that when you evaluate Mexican insurance at Mexican Insurance Store.com that you are sure of your dates. If your Mexico insurance from MexicanInsuranceStore.com lapses before you leave, you will be out of luck in a last-minute accident. Those who might be affected are travelers who decide to extend their long weekends an extra day or two. However, a computer connection is all you need to get Mexican insurance at Mexican Insurance Store.com for those extra days. If you already have Mexico insurance from MexicanInsuranceStore.com, you may want to verify your policy dates before you head out on your Veteran’s Day holiday. It’s always important to remember that your coverage on a policy is unique to the vehicle for which it is written. You can’t transfer your coverage to a different automobile. Additionally, you may want to sign up for email alerts and information. Last winter, for example, changes in Mexican law affected coverage for many travelers. The need to supplement your Mexico insurance from MexicanInsuranceStore.com isn’t a normal issue, but occasional governmental changes in Mexico can occur.